The surface of the earth is in a constant state of change due to the slow continuous motion of tectonic plates. Plate movement drives the deformation of the lithosphere, building mountains and loading fault lines to cause earthquakes. Our research aims to understand these processes over a huge range in spatial and temporal scales. Our observations range from a single grain that has been subjected to huge pressure deep in the crust millions of years ago to millimetric movements of the ground after an earthquake measured by satellites. We use seismology to probe the structure and composition of the lithosphere (and sometimes glaciers) and geochemistry to quanitfy the past activity of faults and how complex fault systems evolve. Ultimately we combine what we learn across the different scales into computational models to explain these observations and answer questions as to how and why processes like earthquakes occur and evolve over time. 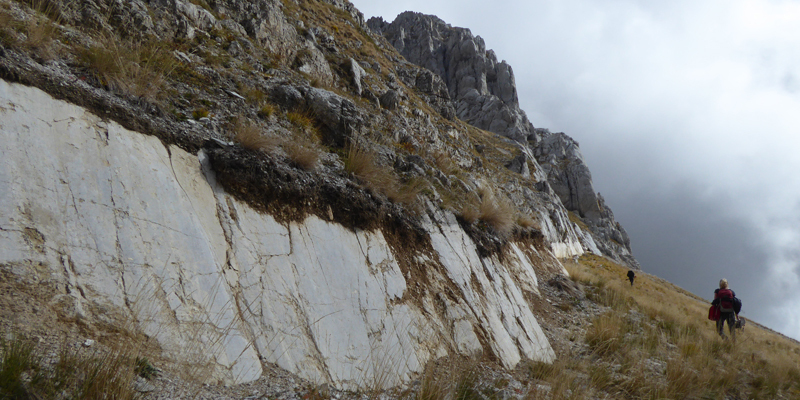 Our projects span the globe, including studying the flow of ancient and deep crustal rocks in Norway to working out the complicated geometry of faults that ruptured in earthquakes in Nepal, Italy, China, and Turkey and other locations.